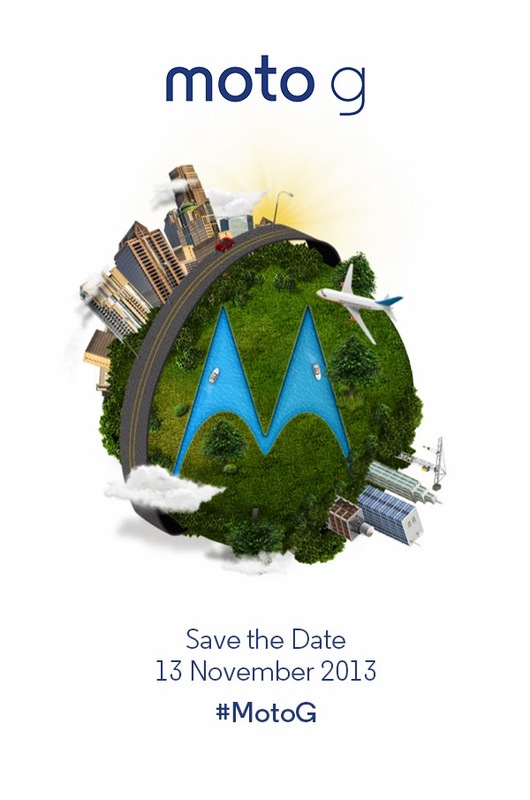 Our friends at Motorola have reached out to us to let us know to "Save the Date" on the 13th of November. 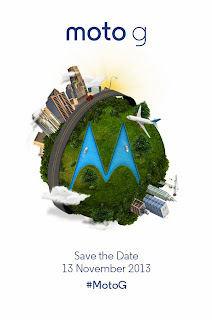 It's expected that Motorola will officially announce the Moto G. According to recent rumors the Moto G is pegged as a mid-range offering that will sport lower end specs than the Moto X. Rumors are suggesting a 1.2Ghz quad-core processor, 4.5-inch display at 720p resolution, 5MP rear camera that shoots only 720p HD video, 1950mAh battery and is running Android 4.3 Jelly Bean. We don't have confirmation on how the Moto G fits into Motorala's plans but it wouldn't be out of the question to expect an affordable smartphone that will be aimed at the budget conscious. Motorola has also launched a website dedicated to the Moto G.
We'll have more information as it comes in and are eagerly awaiting November 13th.